The Glenmore is an institution in Sydney, you bring anyone that visits. The view and atmosphere on the top level has brought me back more times than I care to admit, however it took me around 4 visits to finally get a steak. 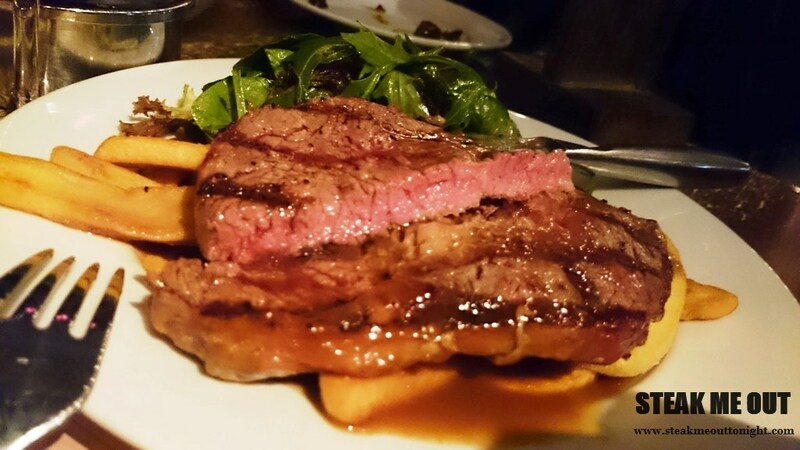 It was one of their Monday specials, $12 250g scotch fillet with chips and salad which I ordered medium rare. It came out 10 minutes later, fast for a steak at any pub really. To my surprise on cutting in, it was medium more than rare but still tender. It came doused in gravy (something that was not mentioned on the menu), which gave the dish a lot of flavour, making up for the lack thereof from the beef. Decently priced for what it is, at $12 I don’t think I could ask for too much more. 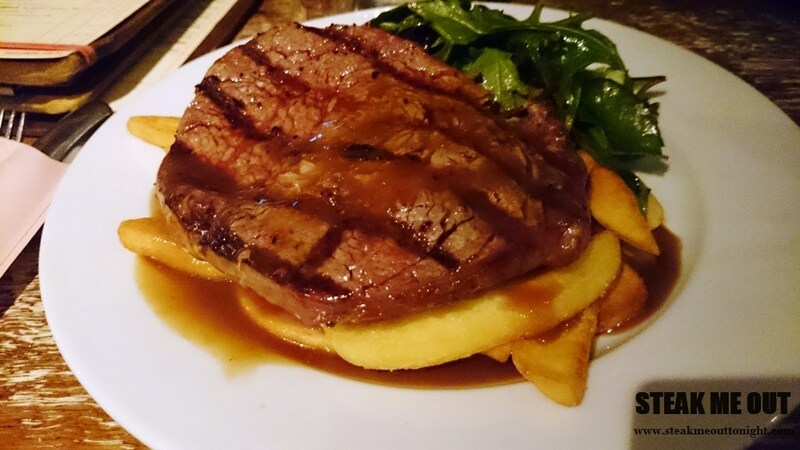 Posted on March 27, 2015 March 27, 2015 by AdrielPosted in Steak, SydneyTagged Cheap, Pub, Scotch Fillet, Steaks, Sydney.